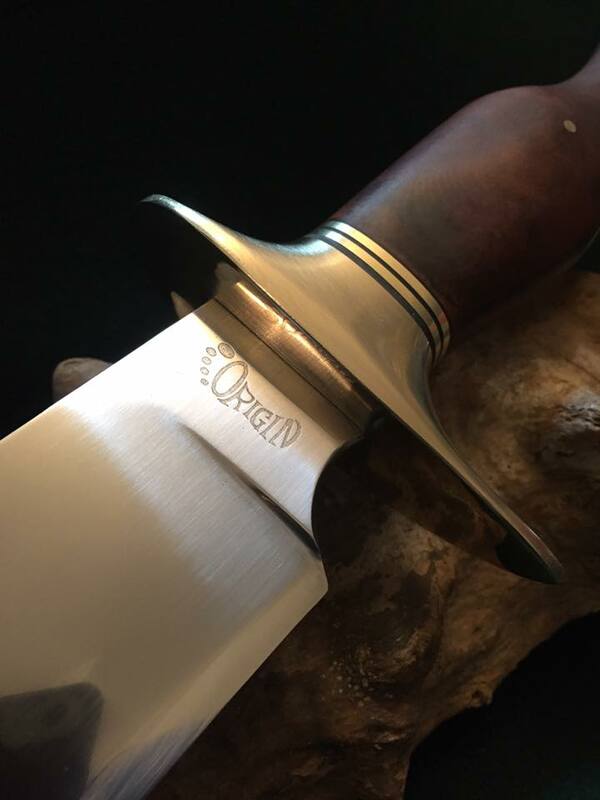 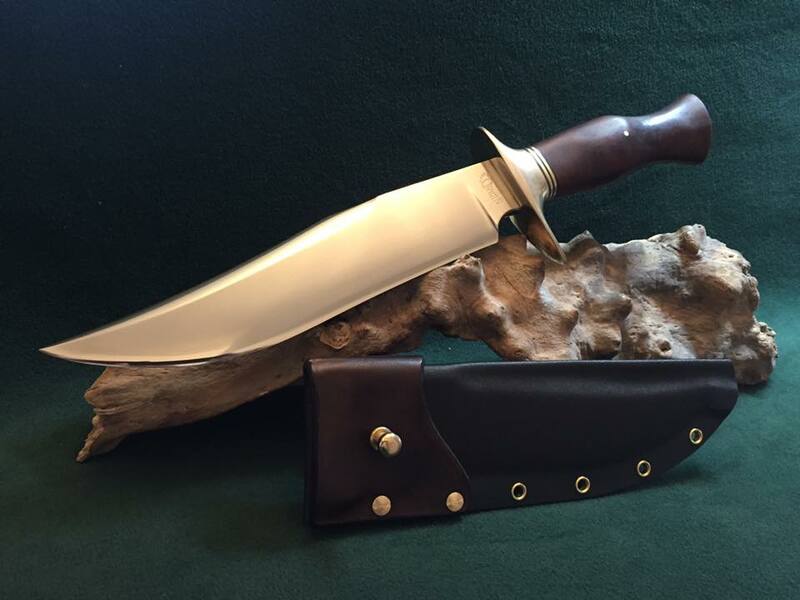 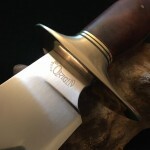 A classic knife with many interpretations of size and blade shape. 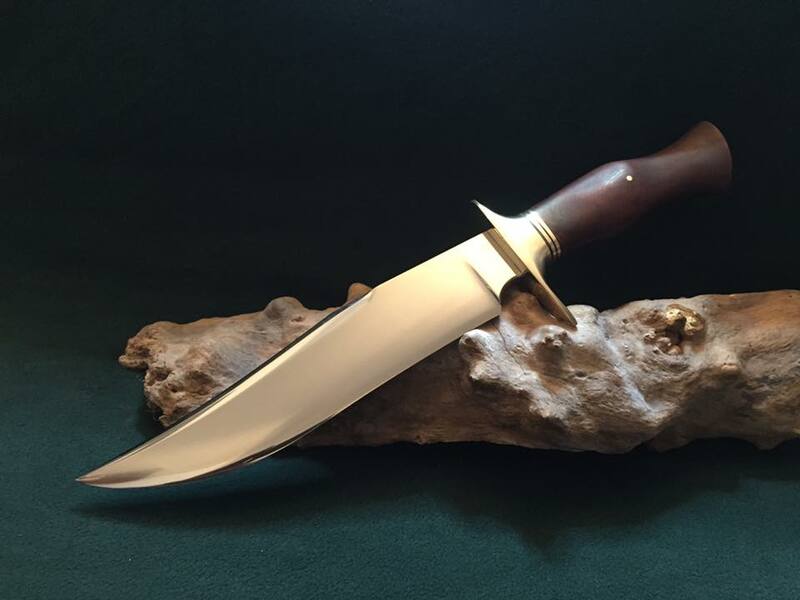 This one has a 260mm blade 8mm in thickness with a full height convex grind, on this particular knife the 150mm clip was also sharpened. 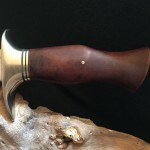 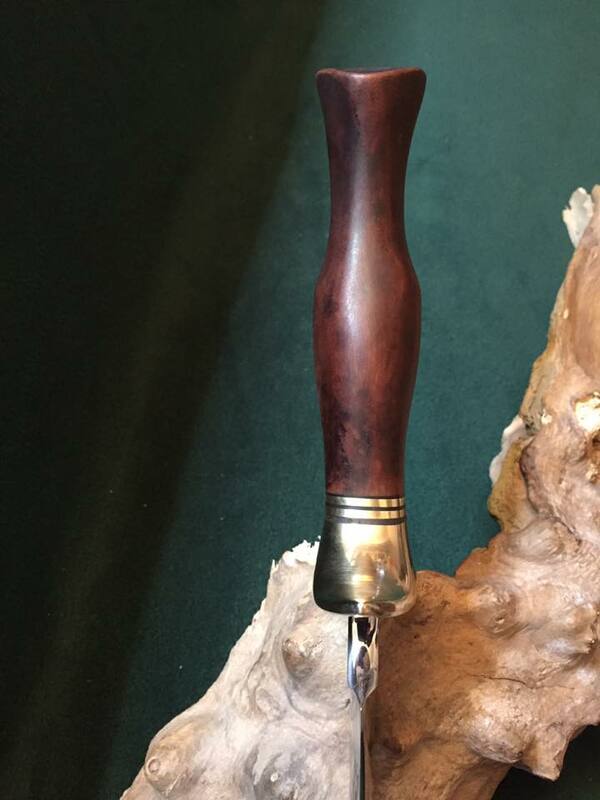 The handle again on this one was hand dyed micarta though other materials are available including horn, antler and carbon fibre. 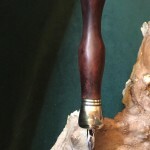 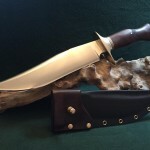 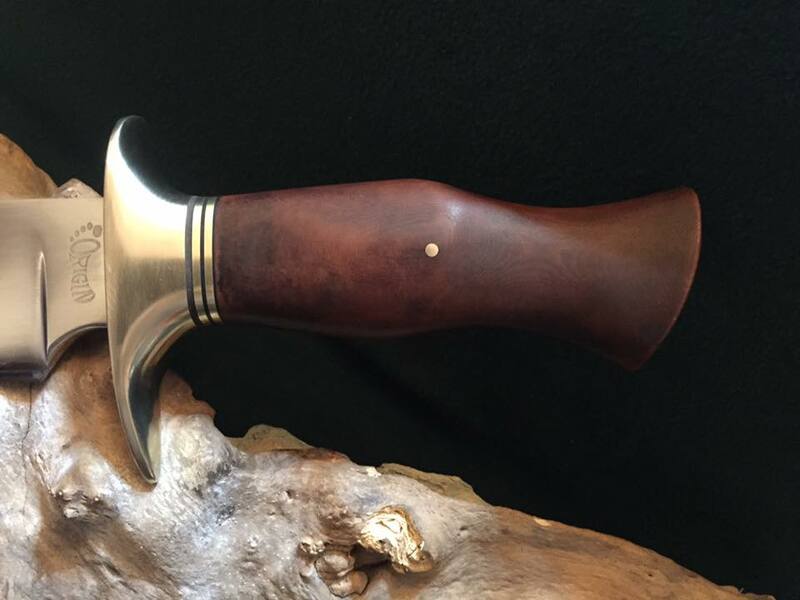 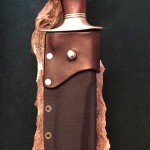 Sheaths can be leather, kydex or a combination of the two.